This handmade decanter named Medoc is ideal for vintage red wines, young white wines, champagnes and orange wine. 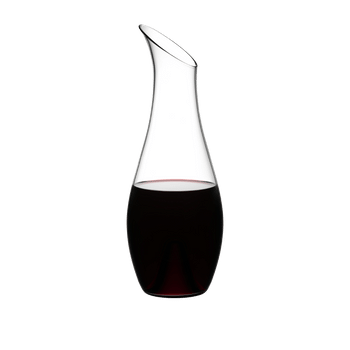 The tall, slender shape of the optically crafted decanter makes it easy to handle, and perfect to fit in the fridge door. As Maximilian J. Riedel, the designer of these new decanters explains, the design is in keeping with the modern trend towards casual dining: “Back to basics. 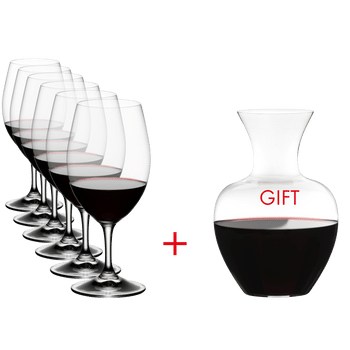 Riedel decanters with a double and triple-decanting function have a high level of functionality and are perfect for connoisseurs. Some people, however, may find these decanters too complicated and intricate to handle. With our ‘M’ decanters, we are taking a step back and offering an alternative that we think reflects today’s ‘farm to table’ zeitgeist perfectly.” This decanter is produced at the Riedel factory in Kufstein from crystal glass.